the concept was to create a Grand Cru Vodka using the best components from Siberia. Taiga Shtof is made with 100% Alpha spirit, the purest alcohol produced in Russia which uses only the finest grain. Our Alpha spirit is distilled from winter rye from Western Siberia and Altai. 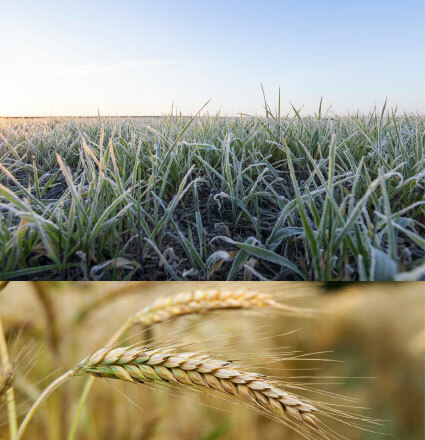 The Rye is collected at the beginning of spring, after 6 to 8 months under the snows, giving it a unique rich taste and the finest quality wheat harvested in the renowned Chernozyom region in Southwestern Russia, for an exceptional flavor. It is then column filtered through activated charcoal and platinum, and finally ice-treated for total purity. We combine our Alpha spirit with a carefully selected blend of Siberian mineral waters at near-freezing temperatures for ultimate purity and clarity. 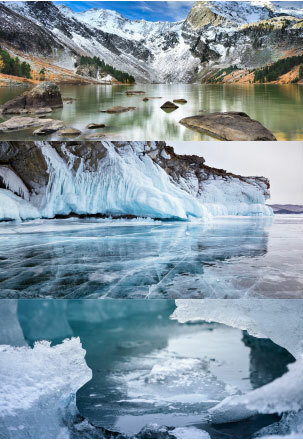 Creating the perfect water for our vodka meant seeking out and carefully combining the purest waters in Siberia. This search has taken us on a journey through remote and mysterious lands, where the extreme climate, exceptional geological features and absence of human activity combine to deliver waters of incomparable quality. We began our quest in the Golden Mountains of Altai, known for the perfect mineral balance of the water contained in the underground lakes that lie beneath them, and its high content in purifying silver ions. Looking eastwards, we then reach the cool shores of Lake Baikal, where melted snow trickles through layers of rock, crystals and sand, acquiring supreme clarity and softness. Finally, set in a historic thermal spa area in the Neryungrinsky District of the Sakha Republic, the secluded village of Chulman gives us an ion-rich water of unmatched purity, artisanally sourced from over 1000 meters below the permafrost where it has remained undisturbed for millennia. As the Tsarist government came to the conclusion, in the late 1890’s, that it was necessary to transfer the production and trade of vodka, from private hands to State, a Monopoly was created in 1894. The aim was to eliminate underground brewing and instil a culture of quality products. The construction of 300 “wine factories” began across the country. One of them was the SHUYA DISTILLERY, built in the 1899 for a production capacity of 300.000 buckets a year. Today the Distillery is owned by Rosspirtprom. It is modern and equiped with the latest technology and yet specialised in “artisan” distillation. TAIGA SHTOF has elected to operate with SHUYA DISTILLERY because of its expertise in producing alpha spirit and blending waters sourced in various areas of Siberia. TAIGA SHTOF is entirely handmade by a wonderful team of talented female engineers and skilful workers. The SHUYA State Distillery is located in the city of Shuya in the Ivamovo District, in the Golden Ring. 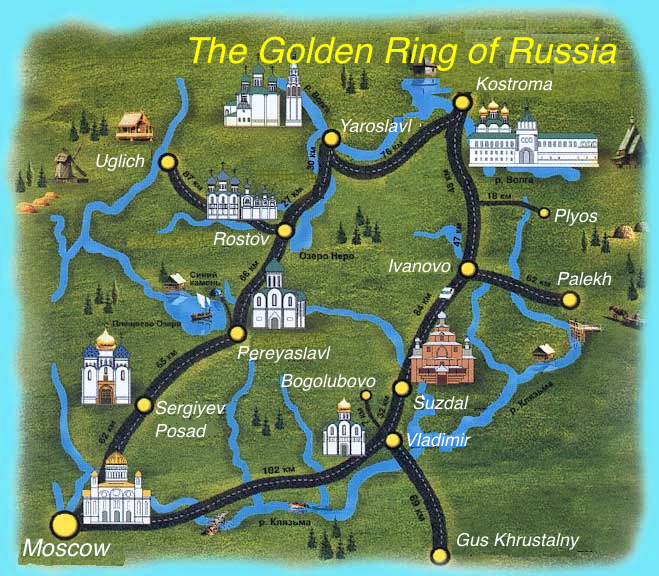 The Golden Ring comprises some of the oldest cities in Russia, dating back to the 12th century, among them: Wladimir, Suzdal, Yaroslav, Kostroma, played a significant role in the formation of Russian Orthodox Church and preserve the memory of Russian history. These towns are among the most picturesque in the country, featuring 12-18th century architecture, including Kremlins, Monasteries and Churches crowned by magnificent onion shape domes. Now days the Golden Ring is a major tourist attraction, full of art and history, magic and mystery.